Are you using Pinterest for business purposes? There is no doubt it is one of the best places to showcase your business products and services. Pinterest is an effective tool for any business – no matter the size or category. It’s not new news that using images on social media is important. The perfect Pinterest Pin can help you stand out in the crowded social media landscape. In fact, that’s why people are flocking to Pinterest. Currently, 100 million people actively use Pinterest! Isn’t it time to make your images work for you? Today, we’re excited to announce that we’ve made sharing images to Pinterest seamless with the launch of dlvr.it for Pinterest. All you need is an RSS feed and a little creativity. Now you can Pin your blog images instantly to Pinterest. Or create a Pinterest Pin of your Instagram images. This feature is available today for all dlvr.it customers with a paid account. Let’s take a deeper look at how dlvr.it for Pinterest simplifies your life and helps boost your social media reach. We often hear from small business owners that removing even one step in the social media sharing process is hugely beneficial. 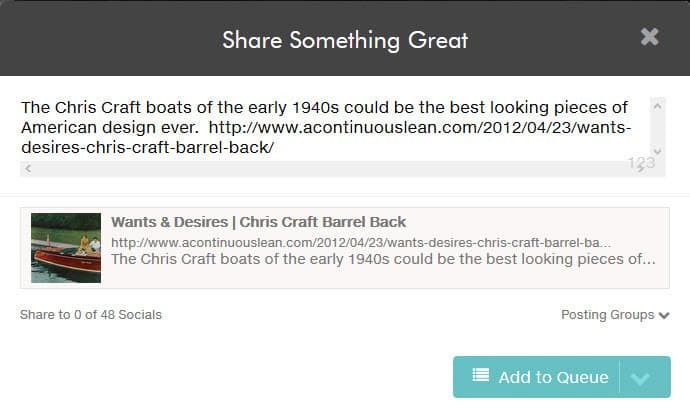 With dlvr.it, you can skip the logging in and uploading steps, cutting your Pinterest Pinning timing in half! 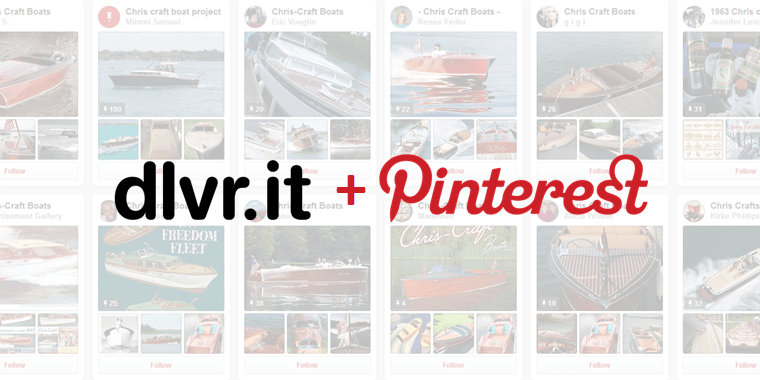 With dlvr.it for Pinterest, there is no need to manually create Pinterest Pins – ever again! For example, every blog post we create, we use dlvr.it’s smart automation tools to share the blog post on Twitter, Facebook, LinkedIn, and more. Typically, we would create a Pinterest description and manually upload the supporting image and text to Pinterest. That is if we remember! Often we create and schedule blog posts weeks in advance. We have to remember each day to upload the newest blog post image to Pinterest. Instead, now we simply schedule Pinterest within dlvr.it. Auto-magically, all our Pins go live at the same time the blog post goes live – even when they are scheduled weeks in advance! Here’s an example of the workflow where you can see how using Pinterest for business pinning eliminates most of the steps. 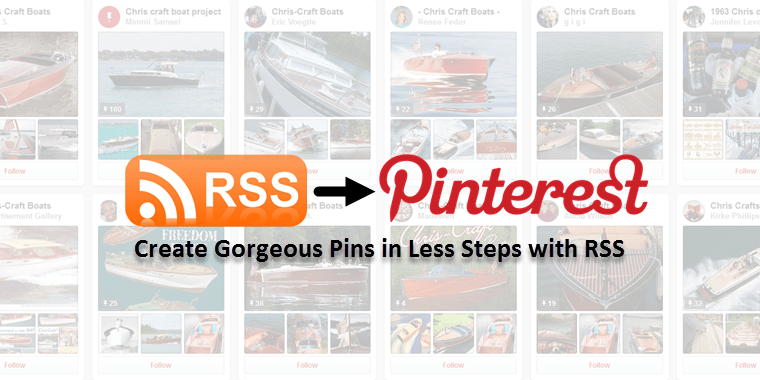 It only takes an RSS feed and a few clicks to add Pinterest to your existing dlvr.it account. If you already have a blog, you can use your existing blog RSS feed and instantly Pin your blog posts. Remember the typical four-step workflow mentioned above for sharing content on Pinterest? Step 2: Wait, there is no step 2! 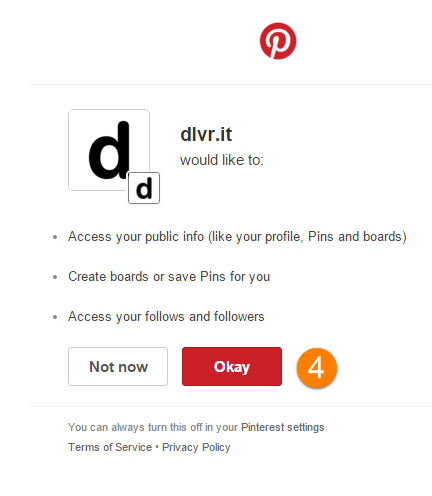 How Does Pinterest Work with dlvr.it? Step 6: [Optional] Click ‘Settings’ to review posting options and for customization features. And if you have an RSS feed already in the dlvr.it system, you are well on your way to creating gorgeous Pins! 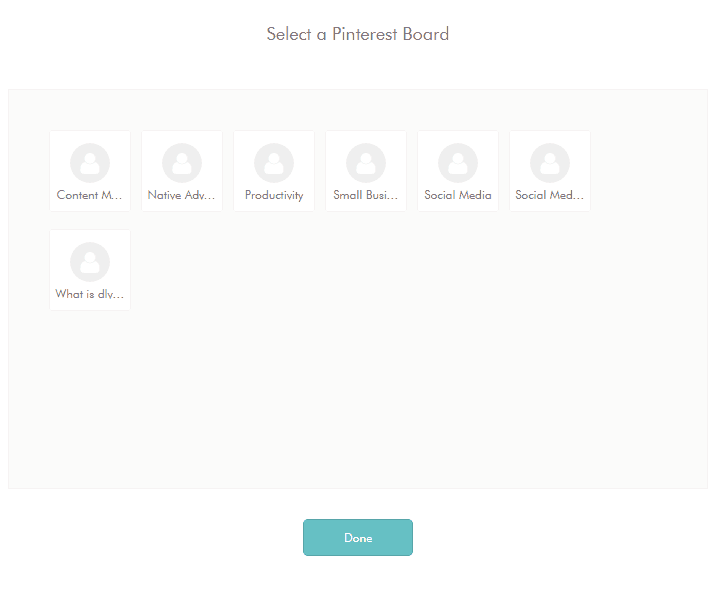 Creating Pins in one click – this is where it gets interesting! Creating Pins from any image you find while browsing the web could never be easier – using our dlvr.it browser add-on! Just add your thoughts and hashtags to each Pin and share! Use your Pinterest board (or anyone’s) as an input to dlvr.it. Read: How to Instantly share Pinterest Pins to Twitter, Facebook, LinkedIn and more. We hope that our Pinterest for business tool makes Pinning that much easier for you. We’d love to hear your feedback about the feature and we can’t wait to see the Pins you create with dlvr.it! Ready to start engaging more? Try Pinterest for dlvr.it! This looks very useful. How does it handle links – would I still need to go into every pin and edit the destination URL? Hi Kimberly, Thanks for stopping by. No you would not have to edit the destination URL. We grab the URL from the RSS feed you provide.